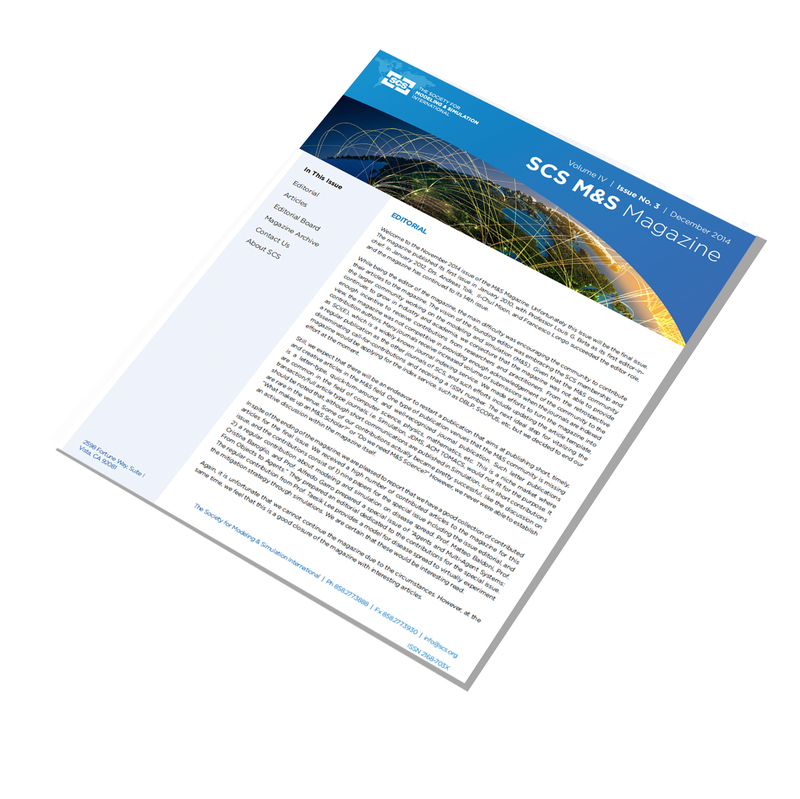 Where people who develop, teach, study, and use M&S technologies, share ideas through SCS’s Journals such as Simulation and JDMS. The Journal of Defense Modeling and Simulation: Applications, Methodology, Technology is a quarterly refereed archival journal devoted to advancing the practice, science, and art of modeling and simulation as it relates to the military and defense. The primary focus of the journal is to document, in a rigorous manner, technical lessons derived from practical experience. The journal also publishes work related to the advancement of defense systems modeling and simulation technology, methodology, and theory. The journal covers all areas of the military / defense mission, maintaining a focus on the practical side of systems simulation vice pure theoretical applications. Please contact Vicki Pate if you have any questions. The Journal of Defense Modeling and Simulation: Applications, Methodology, Technology (JDMS) is a quarterly refereed archival journal devoted to advancing the practice, science, and art of modeling and simulation as it relates to the military and defense. The primary focus of the journal is to document, in a rigorous manner, technical lessons derived from practical experience. The journal will also publish work related to the advancement of defense systems modeling and simulation technology, methodology, and theory. The journal will cover all areas of the military/defense mission, maintaining a focus on the practical side of systems simulation vice pure theoretical applications. The journal seeks contributions that provide in-depth descriptions of applications of modeling and simulation to defense systems and developments of new simulation-based military technologies. Methodologies and theories that demonstrate achieved, or potential, significant improvements in defense modeling and simulation practice are also welcome. Submissions will be judged for their contribution to the development of a robust and reliable knowledge base for application of validated modeling and simulation principles to defense systems. Comprehensive review and tutorial papers that explicate topics in modeling and simulation that fall within the journal aims and scope are welcome and will be reviewed both for technical quality as well as understandability to the general reader. The journal will be of prime interest to developers, researchers, educators, and managers who are interested in lessons learned from the experiences and conclusions documented in the articles. Applications includes (but is not limited to): warfighting, training, test and evaluation, command and control, decision support, aerospace, peacekeeping, non-traditional missions, special operations, and homeland security. Methodology includes (but is not limited to): simulation design techniques, scenario construction, and federation construction process. Technology includes (but is not limited to): simulation techniques, synthetic natural environment modeling, multi-resolution techniques, time management techniques, and High Level Architecture. Author: if your proposed article does not fall under the JDMS aims and scope, please consider submitting to our sister journal, Simulation: Transactions of The Society for Modeling and Simulation International. All manuscripts submitted for publication will be critically reviewed for their relevance to journal objectives, technical quality, significance, and readability. Proposals for special issues should be accompanied by the curriculum(a) vitae of the proposed guest editor(s) and will be reviewed for their relevance to the journal objectives, significance, topicality, and balance. Papers submitted for publication must be original. Manuscripts are accepted for review on the strict understanding that the same work is not pending publication, or under review, by another periodical journal; that it will not appear subsequently in another periodical journal without the permission of The Society; and that its submission for publication is approved by all of its authors and by the institution where the work was performed. The editors of JDMS notify their referees in advance that by accepting a manuscript for review, they also accept an obligation to maintain confidentiality of the manuscript’s contents; this obligation ends only when the manuscript becomes lawfully available to them through another channel without an obligation of confidentiality. All manuscripts must be submitted in English. There is no restriction on the length of submitted manuscripts. However, the length of papers should ideally be between 10 and 20 pages. All papers must be formatted in single column, 12-pt type, portrait layout for 8.5in. x 11in. paper (i.e. US Letter-size paper). Please be sure all tables & figures in your papers are clear & readable. Authors should note that publication of lengthy papers might be delayed, as the length of the paper acts as a disincentive to the reviewer to undertake the review process. In order to facilitate the finding of appropriate referees for the manuscript, full-length papers should be accompanied by a separate single-page description. This description should answer the following question: what is the most closely related work by others and how does this work refer to your topic? Please list 3 references. The references should be grouped in a section at the end of the text and should be numbered. They should include: surname and initials (use et al. in cases where the number of authors is greater than three); full title of paper; journal title; volume and number; inclusive page numbers; year of publication. If in doubt, authors should always write the journal title in full. References to a book should include: author’s surname, followed by initials; year of publication; title of book; editors (if any); volume number/edition (if any); inclusive page numbers; place of publication and name of publisher. Authors are responsible for ensuring the accuracy of the manuscript (whether original or revised) before final submission. One set of proofs is sent to the corresponding author before publication; any changes and approvals should be returned promptly. The publishers reserve the right to charge for any changes made at the printer’s proof stage (other than printer’s errors), since the insertion or deletion of a single word may necessitate the resetting of whole paragraphs. One complete copy of the journal is sent free of charge to the corresponding author of each contribution. The owner of the copyright in the Contribution must complete the Copyright Assignment form. Once the paper meets the submission requirements listed above, the paper may be uploaded to the JDMS Online Manuscript Submission System. To enter the site, create an account and log in. To upload the paper, follow the displayed instructions. Notification of successful submission will be sent. Once a paper has been submitted it can no longer be edited. The review process for manuscripts submitted to regular issues of JDMS is depicted in Figure 1. Authors submit manuscripts electronically to the ScholarOne Manuscript Central web site, and indicate whether the principal contribution of the work lies in the application or methodology section. The manuscript is then assigned to the corresponding Editor-In-Chief (EIC), but may be reassigned if both EICs agree it is more appropriate for the other to handle the submission. If the EIC determines the submission is suitable for review, it is assigned to an area editor. The area editor also checks that manuscript is suitable for review, and assuming it is, assigns referees and requests review of the submission. Based on these reviews, the area editor provides a recommendation to the EIC. The EIC makes a final decision regarding the submission, and notifies the author. Before entering the reviewing process manuscripts are checked to assure they have sufficient merit to be sent out for refereeing. Manuscripts that are out of scope, or contain other obvious problems that preclude publication are rejected early in the process in order to avoid placing extra workloads on the referees. Accepted. No revisions are necessary, and the paper is being accepted for publication. Minor revisions requested. No additional refereeing will be necessary; the EIC and/or area editor will normally check that requested minor revisions have been satisfactorily completed. Manuscripts falling in this category are essentially ready for publication, only needing minor modifications such as fixing grammatical errors, clarifying details of the presentation, including additional references, etc. Any change that would require additional research by the authors (e.g., additional experiments) would normally be considered a major revision. Authors are requested to provide a revised version of manuscripts and a description of how each reviewer concern was addressed (or why the concern was not addressed) within three months of the request. Major revisions requested. Extensive changes or additions in the reported research itself or its presentation are required. Such manuscripts will go through a second round of refereeing, normally with the same set of reviewers as the original submission. Submissions normally undergo at most one round of major revision. Authors are requested to provide a revised version of manuscripts and a description of how each reviewer concern was addressed ( or why the concern was not addressed) within six months of the request. Please note: after a major revision the paper should be acceptable or should require only minor revisions, otherwise it will be rejected. Rejected. Submission of a revision will be treated as a new submission. Please note that the current acceptance rate in JDMS is below 25%. Therefore please carefully read the submission guidelines before submitting a paper to the journal. We strive for a turn-around-time of 3-4 months. However, in some cases this can not be achieved due to delays in finding reviewers – so to speed up the reviewing process please suggest suitable reviewers for your paper. Timely, relevant areas. Special issues are intended to focus attention on an area of particular interest to the Modeling & Simulation (M&S) community; the topic of the special issue should be timely and relevant. High quality. To ensure high quality, the review process must be at least as rigorous as that of regular issues. A thorough, critical, peer review of full manuscripts is required. In general, at least three reviews are given to each paper. Open access. The opportunity to publish in a special issue should be open to all potential authors, except in cases where an actual or perceived conflict of interest arises. Access may be provided through a general Call for Papers issued to the M&S community at large, or in the case of special issues derived from conferences, from the Call for Papers associated with the conference. A proposal for a special issue must first be approved by the Special Issues Editor (SIE) specifying the scope and content for the special issue, motivation and rationale, guest editor(s), etc. The guest editor(s) of the special issue cannot publish papers in their own special issue. Once the special issue has been approved, the guest editor(s) normally assumes the handling of manuscripts submitted to the special issue, in much the same way as an area editor for the journal (please see Information for Area editor(s)). One important exception is that the guest editor(s) is normally responsible for all communications with authors that have submitted manuscripts to the special issue, e.g., notification of the outcome of the review process, transmittal of reviews, requesting revisions, etc. The guest editor(s) must consult with the Editor-in-Chief of the journal before communicating outcomes to authors, since all final decisions must be approved by an EIC. It is recommended that guest editor(s) use the online review system (in the same role as an area editor) to process manuscripts submitted to the special issue. When a SI is accepted for publication, a detailed list of policies and procedures is given to the SI Guest Editor. The following list includes a brief description of some of these policies. JDMS does not have SIs devoted to Conferences (except for a selected group of SCS sponsored conferences). Nevertheless, if during a top conference a new important area of research, timely and relevant, is identified, we encourage the conference organizers to present a proposal for an SI in the area. In those cases, the SI-GE will coordinate with the SI Editor a fast-track review process for those top papers. Nevertheless, all call for papers must be open to the whole M&S community and everybody can submit a paper to the SI. Special Issues Guest Editors (SI-GE) cannot submit a paper to the SI they propose; they act as the coordinators and editors of the issue only. Also, the SI should try not to include papers by authors at arms-length of the SI-GE. The same rules apply to potential reviewers of the papers. Any paper submitted to an SI which is an extended version of a Conference Papers should be significantly different from the original Conference submission. It is suggested that the paper have at most 30% of overlap with the original submission (i.e., the SI-GE must check that the authors are not sending similar copies of the same work, as Journal papers should be elaborated and extended versions than the Conference versions). A meaningful change is expected in the cases of extended Conference papers. The SI-GE and the author should also check any copyright issues derived from the original Conference publication, and ensure that the copyright and self-plagiarism guidelines of any societies involved are considered. If you intend to submit a Call for Papers for SIMULATION, send the CFP for approval to the SI Editor, Gabriel Wainer (email: gwainer@sce.carleton.ca), or to the Editor-in-Chief, Mikel Petty, (email:pettym@uah.edu. 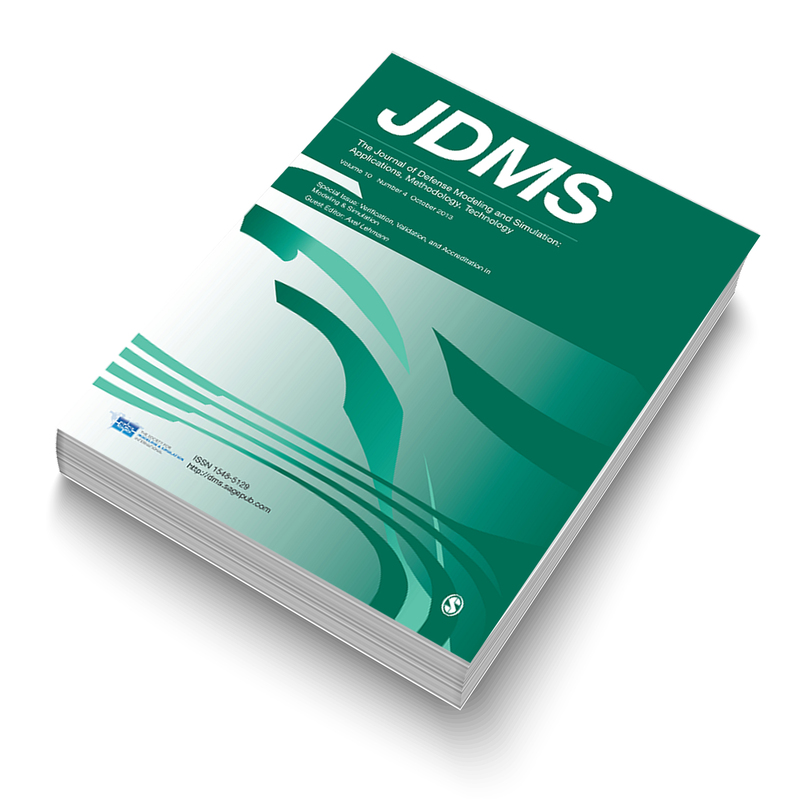 Calls for Papers for JDMS should be sent to the the JDMS Editor-in-Chief, at scs@scs.org). The SI CFP should consider enough lead time to allow everybody to submit a paper. The proposal will be discussed by the SI Committee. As a result, you might get an acceptance, rejection, or suggestions for modifications in the wording. After approval, the papers will be posted to the SCS and Sage Publications web sites, and you can use it for your own advertisement. When accepted, you will receive a detailed guideline that must be followed by the Special Issue Guest Editor. Send a list of persons who may be interested in submitting papers to the Managing Editor (ME), Vicki Pate (vmpate@scs.org), who will send invitation letters through ScholarOne, our manuscript submission system. As discussed in the Guidelines for Special Issues, all authors can submit articles, but if you want to encourage particular authors, the invitation letters will be sent through ScholarOne. You will receive an automatic e-mail when authors submit papers through ScholarOne. The e-mail is generated when the EIC selects you as the Associate Editor for the paper. The e-mail will contain instructions on how to access your Associate Editor dashboard so that you can select reviewers for the paper. The authors have been instructed to provide the names of three to five preferred reviewers. You may use these names or select reviewers from the ScholarOne data base. You should select more than the three required, to ensure that three will be obtained in a timely manner. Automatic reminder letters are sent to invitees, and the ME will also monitor this. You are encouraged to also send e-mail reminders if necessary. After the reviewers have accepted, they will receive automatic reminders to return their reviews. This, too, will be monitored by the ME. You will receive a notice when each review has been returned, so that you can read the reviews. After all reviews are returned, you will receive a notice to make a recommendation on the paper. You may recommend accepting the paper as is, accepting after minor changes are made, accepting after major changes are made, or rejecting. You can also immediately reject a paper if it is out of scope or has unfixable problems. You may solicit the advice of the EIC on this. Please review the review process by clicking here. This contains a nice graphic of the review process. After papers are accepted, the authors are asked to send in final papers. These are then sent to Sage Publications, who edit and style the papers. Vicki Pate works with Sage with regard to what papers will be published in the SI. Because of space limitations, occasionally not all papers submitted for a SI can go in one issue. Often, there are second parts to an issue. Occasionally, some papers, especially those that have been in the review process much longer than the others, will be published in regular issues. The managing editor is always available for assistance with regard to any of the procedures above. 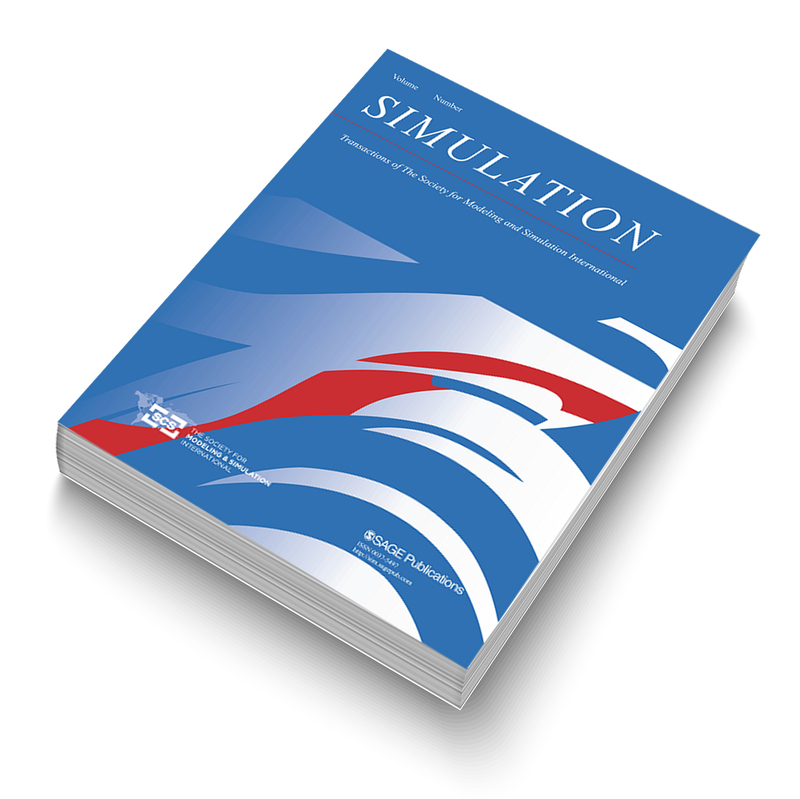 SIMULATION: Transactions of The Society for Modeling and Simulation International is our monthly refereed journal devoted to advancing the discipline and profession of modeling and simulation. An archival journal in both print and electronic form, it consists of distinct sections–one devoted to theory, the other to applications. Published articles must have a clear relevance to general modeling and simulation issues. In addition to its archival mission, the journal aims to help professionals and researchers, particularly those involved in multidisciplinary projects, apply advances in modeling and simulation theory, methodology and technology to their application areas. SIMULATION is an archival journal focused on methodology and applications of Modeling and Simulation. Published articles must have a clear relevance to modeling and simulation issues. In addition to its archival mission, the journal aims to help professionals and researchers, particularly those involved in multidisciplinary projects, apply advances in modeling and simulation theory, methodology and technology to their applications areas. Methodology papers should be original articles of lasting value dealing with contributions to the modeling and simulation field that are methodological in nature. Areas of interest include, but are not limited to: model execution (e.g., parallel or distributed simulation); simulation interoperability; modeling techniques, languages, and development systems; analysis methodologies and techniques; verification, validation and accreditation; randomness in simulations, e.g., random number generation; techniques for real-time simulation, e.g., human-in-the-loop, hardware-in-the-loop, or on-line simulation. Purely mathematical, computational, or empirical results, however valuable, are considered more appropriate to the many journals specializing in these areas. General approaches, formalisms, algorithms, or techniques should preferably be illustrated with significant applications that demonstrate their applicability to real-world problems. Computer Science: Computer networking and communications, high performance computers, real-time systems, mobile and intelligent agents, simulation software, and language design. Engineering: System engineering and design, aerospace, air and surface transportation systems, microelectronics, mechatronics, manufacturing systems, chemical engineering, and robotics. Natural and Life Sciences: Chemistry, physics, biology, ecology, medicine, and biomedicine. Military: modeling and simulation for training, analysis, acquisition. Authors are encouraged to consult past issues of Simulation for examples of articles within its scope. The principal focus of the journal is on research papers, however comprehensive review and tutorial papers that explain methodological topics in modeling and simulation are also within the scope of the journal. All submissions will be reviewed both for technical quality as well as understandability to the general reader. Special IssuesProposals for special issues should be accompanied by the curriculum(a) vitae of the proposed guest editor(s) and will be reviewed for their relevance to the journal objectives, significance, topicality, and balance. Editor-in-Chief (EIC). EIC is responsible for assigning associate editors as well as coordinating the editorial activities to make final decisions regarding the suitability of manuscripts for publication in the journal and communicating this decision to the author(s). EIC’s term is for three years, renewable by request from the SCS Vice-President for Publications. Associate Editors. Each associate editor is responsible for collecting reviews for submissions, and providing a recommendation to the EIC based on these reviews. Associate editors are encouraged to promote the journal, e.g., by proposing and supporting the development of special issues. An associate editor’s term will last for two years, but he/she may be invited by the EIC to continue in this position for one or more additional terms. Editorial Advisory Board. The advisory committee provides general advice and feedback to those responsible for the operation of the journal, especially the EIC and SCS Vice-President for Publications. The purpose of this committee is to provide a means for key individuals in the journal’s operation to obtain expert advice from leaders in the M&S community concerning strategic directions and policies implemented by the journal. In general, it is expected that some members of the editorial board will rotate out and new members will rotate onto the editorial board when board memberships are renewed. Special issues are handled by guest editor(s) in consultation with the SIE. Details of the review process will vary according to the context of the special issue, but will adhere to the general principles used in regular issues to ensure high quality through the peer review of submissions. Final approval concerning publication of all manuscripts must be granted by the EIC. All manuscripts submitted for publication will be critically reviewed for their relevance to journal objectives, technical quality, significance and readability. Papers submitted for publication must be original. Manuscripts are accepted for review on the strict understanding that the same work is not pending publication, or under review, by another periodical journal or conference; that it will not appear subsequently in another periodical journal without the permission of The Society; and that its submission for publication is approved by all of its authors and by the institution where the work was performed. The editors of Simulation notify their referees in advance that by accepting a manuscript for review, they also accept an obligation to maintain confidentiality of the manuscript’s contents; this obligation ends only when the manuscript becomes lawfully available to them through another channel without an obligation of confidentiality. Language and Length: All manuscripts must be submitted in English. There is no restriction on the length of submitted manuscripts. Note: publication of lengthy papers may be delayed, as the length of the paper acts as a disincentive to the reviewer to undertake the review process. Single Page Description: In order to facilitate the finding of appropriate referees for the manuscript, full-length papers should be accompanied by a separate single-page description. This description should answer the following question: What is the most closely related work by others and how does this work refer to your topic? Please list 3 references. Footnotes/Endnotes: The use of The Vancouver Manual of Style is required. Authors may use either footnotes or endnotes in the paper. Proofs: Authors are responsible for ensuring the accuracy of the manuscript (whether original or revised) before final submission. One set of proofs is sent to the corresponding author before publication; any changes and approvals should be returned promptly. The publishers reserve the right to charge for any changes made at the printer’s proof stage (other than printer’s errors), since the insertion or deletion of a single word may necessitate the resetting of whole paragraphs. Reprints: One copy of the journal is sent free of charge to the corresponding author of each contribution. Once the paper meets the submission requirements listed above, the paper may be uploaded to http://mc.manuscriptcentral.com/simulation. To enter the site, create an account and log in. To upload the paper, follow the displayed instructions. Notification of successful submission will be sent. Once a paper has been submitted, it can no longer be edited. All manuscripts must be submitted through the online system. If no notification is received or if further assistance is required, please contact: Managing Editor, The Society for Modeling and Simulation International at editor@scs.org or (858) 277-3888. Area editors and associate editors are not restricted from submitting manuscripts to Simulation, and are encouraged to do so. An Editor-In-Chief (EIC) may not submit manuscripts for publication in regular issues of Simulation, and should not publish papers in special issues, except in the case of invited papers (e.g., conference papers invited for a special issue). Guest editors of special issues cannot submitting papers to the special issue that they are editing (and it is suggested that the special issues authors be at arms length of the Guest Editor). Final decisions and communication with authors are made by the EIC handling the submission. The identity of the area editor, associate editors, and referees is not made known to the author. Manuscripts requiring “major revision” may go through one round of revision and re-review. If the result of that revision is not “accept” or “request minor revision” the manuscript will be rejected. Referees will normally be acknowledged by publishing their name in the final issue of the journal each calendar year. Guest editors are encouraged to acknowledge referees that reviewed papers for their special issue in the forward written for the special issue. It is permissible to republish portions of manuscripts that had previously appeared in conference proceedings, however, the version appearing in Simulation should be significantly different from the version appearing in the conference proceedings. The journal version need not necessarily include new results; it may include additional examples, further explanation of ideas and data, etc. As a general rule, the overlap between the conference and journal versions should not exceed 30%. The review process for manuscripts submitted to regular issues of Simulation is depicted in Figure 1. Authors submit manuscripts electronically to the ScholarOne Manuscript Central web site, and indicate whether the principal contribution of the work lies in the application or methodology section. The manuscript is then assigned to the corresponding Editor-In-Chief (EIC), but may be reassigned if both EICs agree it is more appropriate for the other to handle the submission. If the EIC determines the submission is suitable for review, it is assigned to an area editor. The area editor also checks that manuscript is suitable for review, and assuming it is, assigns referees and requests review of the submission. Based on these reviews, the area editor provides a recommendation to the EIC. The EIC makes a final decision regarding the submission, and notifies the author. Rejected. Submission of a revision will be treated as a new submission. Please note that the current acceptance rate in Simulation is below 25%. Therefore please carefully read the submission guidelines before submitting a paper to the journal. SIMULATION does not have SIs devoted to Conferences (except for a selected group of SCS sponsored conferences). Nevertheless, if during a top conference a new important area of research, timely and relevant, is identified, we encourage the conference organizers to present a proposal for an SI in the area. In those cases, the SI-GE will coordinate with the SI Editor a fast-track review process for those top papers. Nevertheless, all call for papers must be open to the whole M&S community and everybody can submit a paper to the SI. SCS M&S Newsletter is the monthly general interest publication of the Society that is produced for the general public. 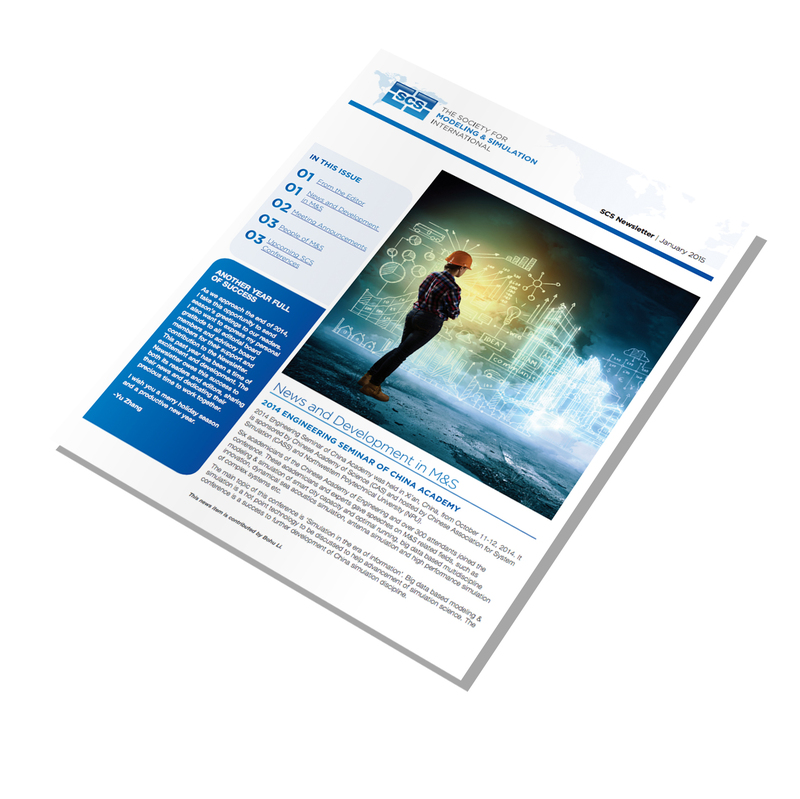 It presents various articles on topics related to modeling and simulation for the benefit of the entire community whether they’re SCS members or not. Similarly to the SCS M&S Magazine the key element is broad appeal and general information. Please contact the SCS Administration if you have any questions. SCS M&S Magazine was published as a quarterly general interest publication of the Society. From January 2010 to December 2014 we published articles that have an appeal to a major segment of the modeling and simulation community. The specific segment varied depending on the information content of any particular article, but the key element has been broad appeal. All articles are archived under [ISSN:2168-7031] and can still be accessed from this website. The SCS Magazine does not accept any new submissions.